A reputable name associated with quality and high-end features, Samsung doesn’t disappoint with their 32-inch TVs. This size is perfect for small rooms, gaming systems or to use as a large monitor for your computer. 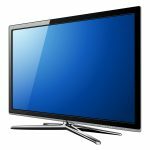 There are many reasons to choose a Samsung 32 inch TV, and this guide will focus on what we consider to be the best model, the Samsung UN32J6300. This highly rated model has plenty of features and capabilities to be to be selected for your next home entertainment center. Many TVs are becoming larger and larger, so it is sometimes difficult to find a quality, 32-inch selection. This guide will take an in-depth look at the Samsung UN32J6300, as well as compare it to a few other great options. We included the pros and cons of purchasing this model, as well as a price guide for each of these TVs. 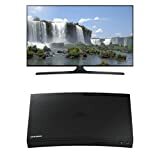 Whether you are looking to upgrade your older Samsung TV, or have never owned one, this samsung 32 inch TV has excellent customer ratings and comes highly recommended by professional reviewers. First, take a look at some of the important features you should look for in a new TV. Buying a TV today can be a confusing and stressful event. 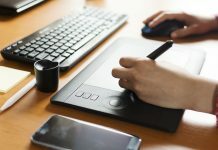 Whether you are up-to-date with the latest technology or not, there are plenty of factors to consider. Often, you can end up purchasing a TV without knowing many of its capabilities. Here is a list of some of the more important features to use to compare TVs. In a race to have the most figures on their box, many TV companies are advertising their definition by using several numbers. A TV could be called UHD 4K 2,160, and it’s sometimes difficult to sort through the exact meaning. Your basic option is between high definition (HD) and ultra-high definition (UHD). UHD TVs can also be called 4K which is a reference to the television’s pixel count. Pixels are the small dots of light that make up the image on your screen, so a higher pixel count means a clearer, sharper image. Most modern, larger TVs have a resolution of 3,840 by 2,160, so they are UHD TVs. Older TVs have HD, sometimes called Full HD, which has 1,920 by 1,080 pixels. It can also be called 1080p. While most high-quality TVs are distinguished by their UHD features, for a small TV, like the 32-inch, it’s not a noticeable improvement. Because movies and TV shows are shot in a series of images, the refresh rate is important because it is the speed at which each image is shown. Most cameras and recording equipment have a refresh rate of 60Hz so that it the industry standard. High quality TVs now have a refresh rate of 120Hz. By doubling the rate, they double the number of picture changes on film. This makes movements feel much smoother, particularly in action movies and video games. Even if a TV doesn’t have a refresh rate of 120Hz, they will often have an improved rate. Samsung advertises a motion rate of 120 for most of their TVs. This isn’t quite as seamless as a refresh rate of 120Hz, but it is an improvement over the standard refresh rate of 60Hz. In this case, bigger isn’t always better. While screens continue to get larger, there are advantages to smaller TVs. First, the cost rises significantly with the screen size. If you are looking for a budget model, you’ll find much better features on a smaller set. You also need to think about the room your TV will be set up in. While a 75-inch television sounds like the ultimate TV-watching experience, you may have difficulties finding a place to mount it. The ideal viewing distance for these massive TVs is 12 feet. Make sure you have the space to view it comfortably from this far away in order to make the most of your purchase. A 32-inch TV, on the other hand, has an ideal viewing distance of two feet. Consider your situation before deciding which TV is the best fit for you. These distances are only averages, so it is possible you can have a positive viewing experience at more or less distance. A 32-inch TV is great for smaller rooms or kitchens, but may be too small for your main, living room TV. Why stream online videos on your phone or tablet, when your TV can also connect to Wi-Fi? Smart TVs have a variety of new features and an intuitive platform. Basically, it allows your TV to connect to the internet and use video streaming services, like Netflix or Amazon Prime. Many companies have their own, unique platform, but smaller brands use a larger, more well-known brand. Some smart TVs have voice recognition and can also be controlled through an app on your phone. This feature is quickly becoming the industry standard, but less expensive television models can be purchased without smart features. However, when purchasing a new TV, most companies assume you want a smart television. This feature may quickly become standard, as there are fewer TVs currently being built that don’t have this ability. If you’re buying a TV to view on your own, you may not worry about different viewing angles. This is particularly true of smaller TVs, such as the 32-inch models. However, if you are looking for your next main entertainment screen, you want to be sure everyone in the room has a good view. Most TVs you purchase today are LCD screens, which may not have great viewing angles. Whether it is backlit by LEDs or not, it’s often difficult to arrange a large room of seats to comfortably view the small screen. OLEDs, or Organic Light-Emitting Diodes, have a far better picture quality when viewed from the side. This isn’t a feature for smaller TVs, as the issue is largely with bigger models. A TV isn’t functional if it can’t be connected to the rest of your entertainment systems. With surround sound speakers, multiple gaming systems and modern Blu-Ray players, it’s easy to see the importance of a variety of ports on your television. Don’t just look for an HDMI or two, but make sure there are USB and audio ports as well. You’ll want to consider sound quality when setting up your home system, but not necessarily when purchasing your TV. Many TVs are designed as a slim, lightweight product with great visuals. Few are looking at sound quality when they are manufactured. 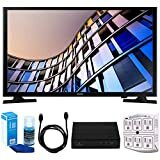 While the speakers on the Samsung UN32J6300 and other televisions are functional, many customers feel the sound quality is inferior to even their older sets. Most TVs expect you to buy external speakers. One common solution is a sound bar. This slim bar is an external speaker that is designed to sit conveniently in front of your TV or be mounted on the wall underneath your television. A good quality sound bar provides excellent audio. Rather than purchasing a TV based on its internal speakers, look for televisions that can connect to a sound bar or other external speakers, while still leaving enough ports for your other needs. There is a wide range of prices available for TVs, depending on the features. Of course, screen size is the biggest factor, but resolution, smart functions and LED/OLED are also important factors. For 32-inch TVs, the price range is generally between one hundred fifty and five hundred. If you are looking for any size TV, you can pay as little less than a hundred or as much as fifty grand. As with most things, it’s generally wise to stay away from the extremes. 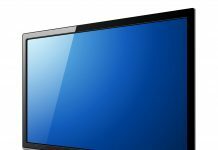 A very low-priced TV usually won’t give you the kind of performance you need, while the most expensive TV only seems better when compared closely with its competitors. If the 32LK610BPUS is more expensive than your budget allows, the UN32M4500 offers similar features at a lower cost. This Samsung 32-inch TV comes with smart features, two HDMI ports and an LED display. It only has 720p resolution, which is in the lower range, but it is still considered HD. The television still comes with a one-year warranty and has the quality of a Samsung product. However, this resolution is low in today’s market. It also has limited ports, so its connectivity is decreased. If you’re looking for a basic model with smart features, this is a good choice. The LG Electronics competitor model has a 720p resolution screen offering smart functions and a 60Hz refresh rate. It has a lot of the same features as the UN32M4500, which gives it a lower quality screen than the UN32J6300. 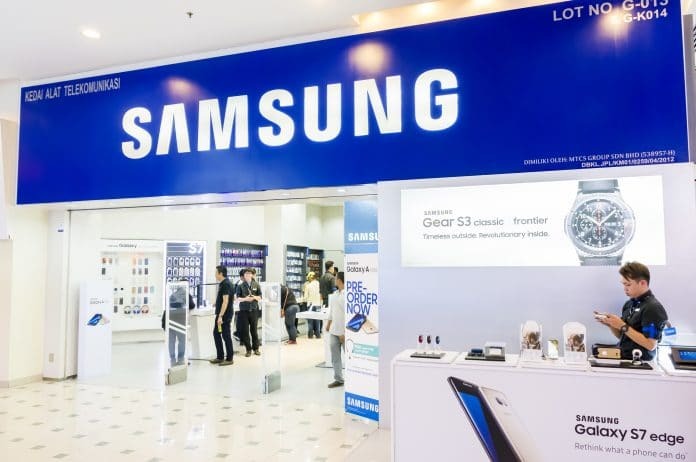 It has a mid-range price, which is higher than the competitor Samsung model. LG also offers an extensive line of budget and premium TVs in all sizes. Each of these TVs has great features and downsides. Depending on your television preferences, some models are more reasonably priced than others. In order to find the best TV for your needs, here are some pros and cons of the Samsung UN32J6300. Consider your own requirements when choosing a TV. Some models are better suited for high-quality images, while others offer a more budget-friendly approach. If smart features aren’t necessary, consider TVs that don’t have this capability in order to save money. While the Samsung UN32J6300 may be more expensive, it is currently the best Samsung 32 inch TV available. It comes with a lot of great features, like smart TV functionality and a great image; also, 1080p is a good resolution for this size of TV. Samsung’s smart functions allow you to surf the web, stream videos and use a considerable number of apps. There’s also an app for your phone, which offers more flexibility. Try watching movies from your phone, pausing it, and continuing where you left off on the TV. This sturdy little television is also lightweight, so transporting it will be easy. While some customers enjoy the sound quality, others feel it requires external speakers to match the image quality. The motion rate of 120 helps offer smooth action scenes. If you want one of the highest quality 32-inch TVs at a reasonable price, this model from Samsung is a great choice. It also has great customer reviews. It’s an excellent screen for kitchens, bedrooms or gaming consoles. This TV, while cost-effective, is far smaller than most main TVs. If you are looking for a new centerpiece to your living room, this television may disappoint you. While it has a motion rate of 120, it lacks the true refresh rate of 120Hz. Three HDMI ports are reasonable, but some TVs are offering more. It’s also a bit expensive for its size if you want a budget-friendly model. Because it doesn’t have an OLED screen, you may have trouble watching from extreme angles, which is a problem if there are several people attempting to view the screen. As a small TV with great features and a mid-range price, the Samsung UN32J6300 earns 4.5 out of 5 stars. It’s a good TV for your kitchen or bedroom and offers some interesting features for such a small screen. As a 1080p device, it will outperform most TVs in this size range. However, the refresh rate of 60Hz won’t stand up head-to-head against a true rate of 120Hz. As a secondary screen, the screen-sharing feature of this smart TV is very practical. While other televisions may be less expensive at this screen size, this model represents a great balance of high-end features and a reasonable price.